Years ago, realtors began selling Crown Heights as Brooklyn’s next up-and-coming neighborhood -- claiming it was just one cocktail bar away from being the next Fort Greene or Williamsburg. It was a fair assumption; the neighborhood’s proximity to subway stations, Prospect Park, and a weekly green market already gave it the trappings of a Brooklyn paradise. Now, a flurry of new late-night spots (including that promised cocktail bar), restaurants, and upscale housing have finally brought real estate agents’ hopeful prophecies to life. These newer establishments have started to expel the shadow cast by the infamous riots of 1991 (largely by attracting young crowds who don’t remember them). Yet Crown Heights remains at a cultural crossroads. While luxury apartments and Starbucks materialize on some of the neighborhood’s busiest corners, its charm is still in its history and heritage. Here, Caribbean restaurants and corner bodegas border synagogues and Judaica shops. Sprawling, turn-of-the-21st-century mansions recall a moment in time when Crown Heights was one of the most affluent areas of Brooklyn. Crown Heights may be an emerging neighborhood, but some of its greatest attractions are ones that have been here for quite a long time (we’re talking centuries). All it took was a beer hall and a few independent coffee shops to recapture New Yorkers’ interest. Take the 2, 3, 4, or 5 train to any stop between Franklin Ave and Utica Ave and discover Crown Heights’ magnetism. 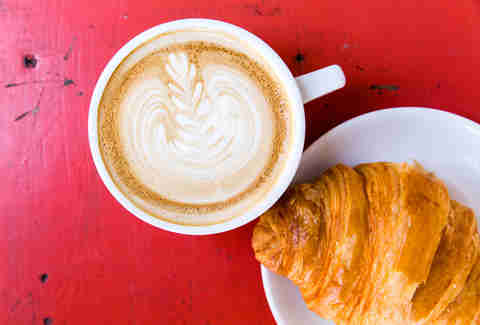 Start your day at Breukelen Coffee House, which has an unreasonably friendly staff and a Nutella mocha that’ll change your mind about your typical black coffee order. When the shop expanded with a spacious back room (and electrical outlets!) it solidified its reputation as a Crown Heights hangout. Two blocks away is Little Zelda, a smaller coffee shop that’s long been known for its locally roasted Toby’s Estate espresso and cheddar chive biscuits that put Red Lobster’s to shame (sorry Bey). 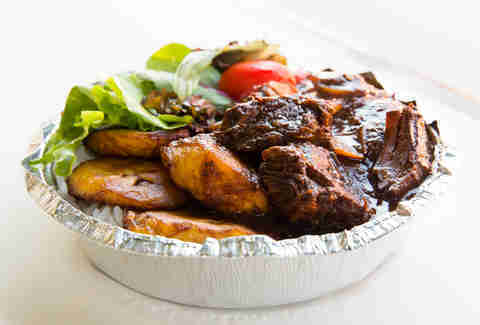 No one comes to Gloria’s for atmosphere -- it’s the kind of place where you order at the counter, grab a drink from the fridge, and sit at a table while you wait for your meal -- but everyone (including Anthony Bourdain) returns for West Indies specialties like stewed oxtail, pumpkin roti, and callaloo. Venture deeper into Crown Heights for cafeteria-style curry chicken, collard greens, and steamed cabbage at Mandela Halal Buffet, (formerly Josephine’s Cuisine) on Troy Ave. If you’re feeling spontaneous, just follow the aroma of jerk seasoning to smoky, steel-drum grills on front yards, driveways, and tucked-away alleys. In the summertime, it’s pretty common to see neighbors pull up folding chairs and squat on curbs for aromatic chicken served on aluminum foil. If you’re lucky (and compliment the cook), you may even get a free sample. Crown Heights has so much culture and historic architecture to admire, just walking around is an activity in itself. 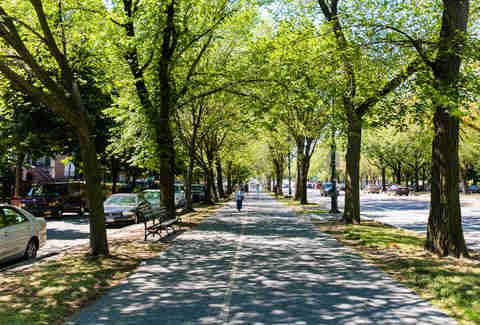 Take a stroll along tree-lined Eastern Parkway, which is flanked by 2-mile-long pedestrian and bike paths. 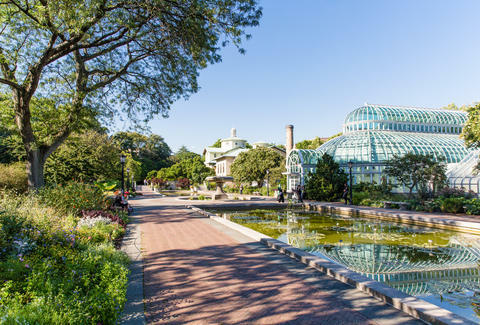 The trail begins at Prospect Park and ends at Lincoln Terrace Park, passing the Brooklyn Botanic Garden, the Brooklyn Museum, and the Jewish Children’s Museum, which claims to be the largest of its kind in the country. It’s also easy to spend hours walking up and down Crown and President Streets, admiring the 19th- and 20th-century estates that look like they were ripped straight from the South. Bonus points for accurately guessing the price per square foot. Crown Heights' Orthodox and Hasidic Jewish enclaves are still prominent today, so you’ll notice entire streets dominated by Hebrew signage. 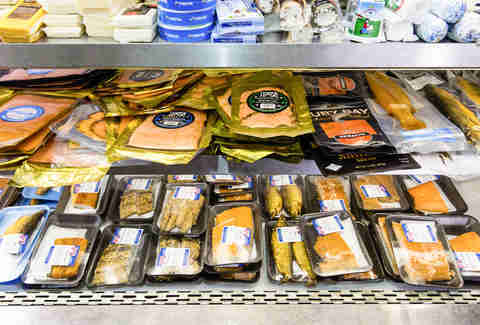 In addition to a trip to the Jewish Children's Museum, visitors can admire Judaica shops stocked with yarmulkes and mezuzahs, then head to Benz's Fish for gourmet olives, pickled herring, and smoked fish to-go. Save your appetite for dinner at Basil Pizza & Wine Bar, a certified-kosher bistro doing wood-fired pizzas rather than bagels and brisket (be sure to order The Smoker, topped with smoked mozzarella, cured and smoked salmon, capers, shallots, and parsley). Do keep in mind that, like almost every other restaurant and shop in Crown Heights, Basil closes two hours before sundown on Friday for Shabbat and won’t open again until one hour after the sun sets on Saturday. 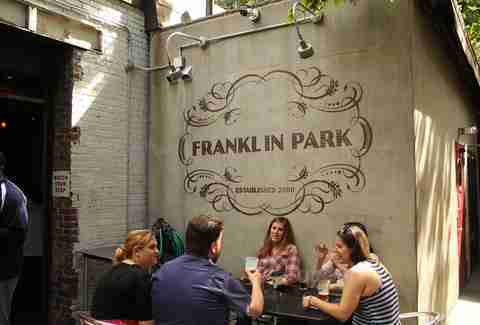 Massive beer hall Berg'n may draw crowds, but Franklin Park is Crown Heights’ best bar. It’s at once a beer garden, bar, restaurant, and -- most importantly -- game room. Thankfully, the bar can easily accommodate the crowds with its picnic table-filled, tree-shaded courtyard that’s perfect on balmy nights. In addition to Pop-a-Shot and Skee-Ball, the bar is also known for its special events, including a regular Monday reading series, screenings of The Walking Dead, and weekend DJ sets. Last year, Franklin Park bartender Christopher Buckley opened his own Crown Heights venture, Branch Ofc, which is inspired by the ‘50s and ‘60s and boasts an antique cash register, pinball machines, and public school-inspired décor (i.e. alternating linoleum floor tiles, chairs that probably had desks attached to them at one point, etc.). The bar also has an incredible backyard (colorful globe lights, pastel-painted tables, and a corrugated-tin fence), which is open year-round to those willing to brave the cold. Don’t worry, the signature cocktail (Jameson, lime, bitters) will help fortify your constitution. The Brooklyn Botanic Garden (located at the edge of Crown Heights, in the elbow of Prospect Heights and Park Slope) may be crowded and kind of touristy, but it’s also a beautiful, peaceful (relatively speaking) place to escape the rest of crowded, touristy Brooklyn -- especially during cherry blossom season. 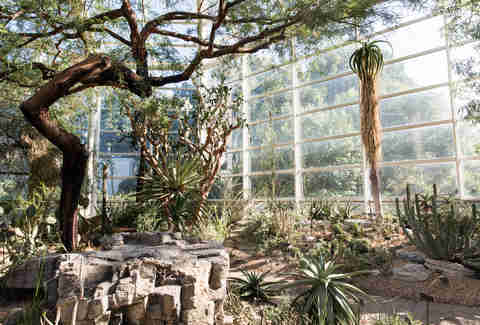 Come winter, find warmth in the Bonsai Museum, which displays up to 30 of its extensive 350-plus collection of diminutive trees. Whatever time of year you go, be sure to visit on a Tuesday or Saturday, when it’s free entry from 10am until noon. Further up Eastern Parkway is Grand Army Plaza, which hosts a year-round Saturday morning greenmarket selling everything from fresh-cut, dried lavender to a fierce beet horseradish that you won’t know what to do with, but will want to buy in bulk anyway. Pick up fresh goat and aged cow’s cheeses, Ulster County breads, and hard apple cider for a picnic in adjacent Prospect Park. 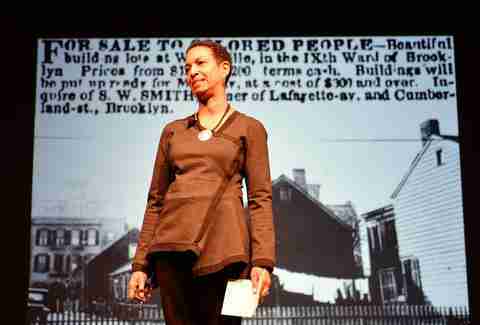 On the easternmost margin of the neighborhood is the Weeksville Heritage Center, which opened at the close of 2013 in what was once the district of Weeksville. In addition to the contemporary museum, which is a masterpiece of striking Brazilian walnut, glazed glass, and slate, visitors can take tours of the three remaining wood-frame homes that belonged to one of the country’s first free black communities. In 1838, the area’s founder, James Weeks, began buying property on what is now the border of Crown Heights and Bed-Stuy. The village, which quickly became home to hundreds, had its own hospital, schools, and even one of the first African American newspapers, the Freedman’s Torchlight. For many decades, these vernacular houses on Hunterfly Road were lost behind new construction and empty lots, and only recently rediscovered and restored. Shelby Tanner fled the suburbs to live in NYC. She’s not ashamed by how much Splenda she dumps into her coffee.